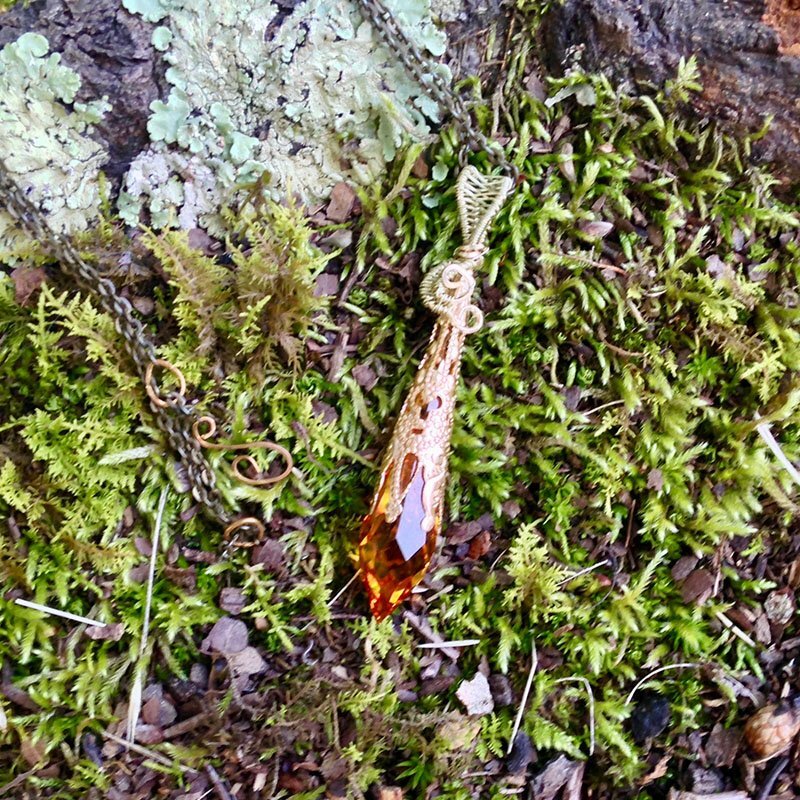 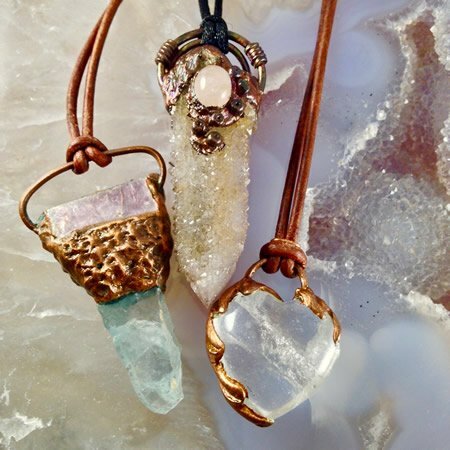 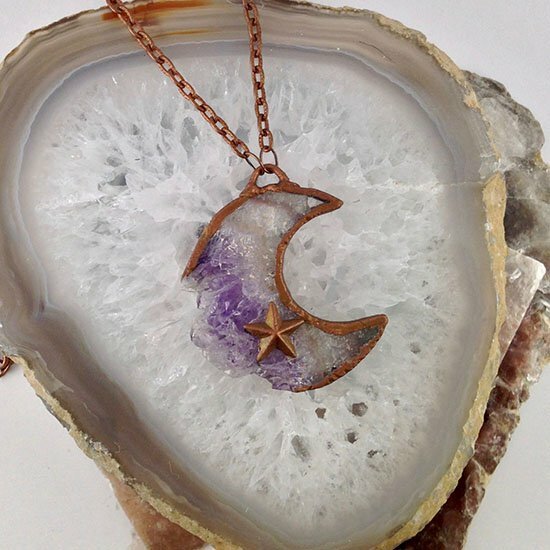 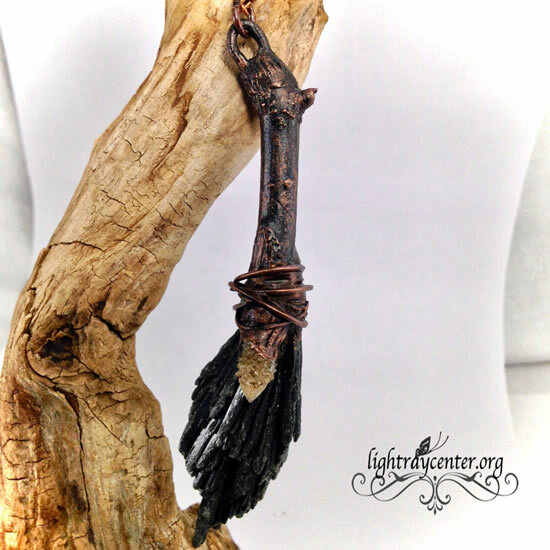 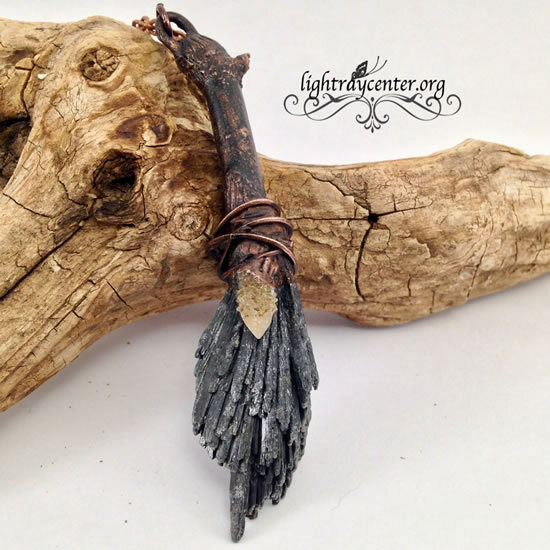 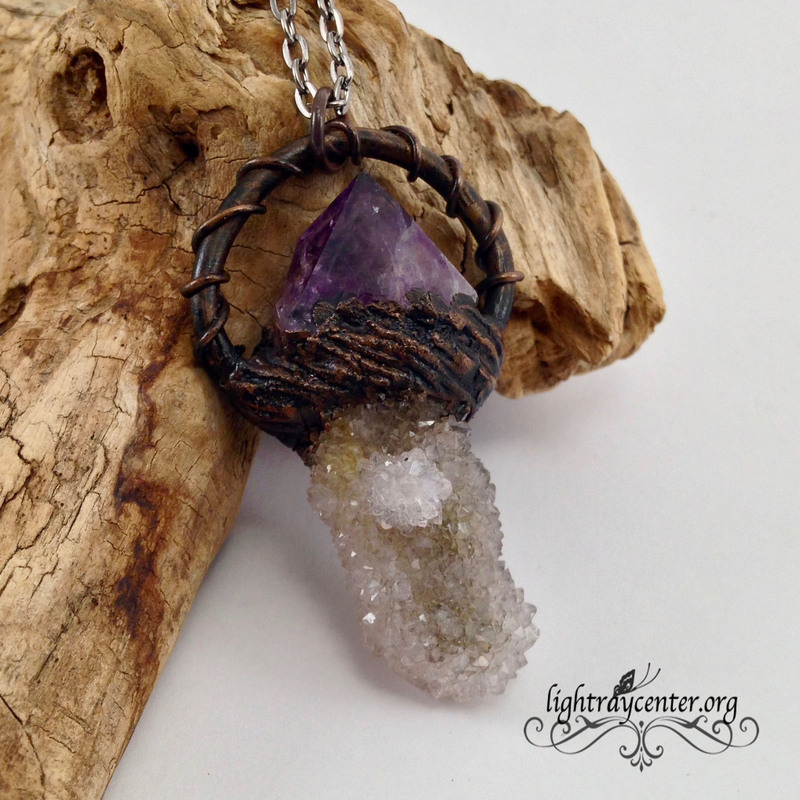 This unique handmade pendant was crafted from hand collected crystals in Amelia County, Virginia. 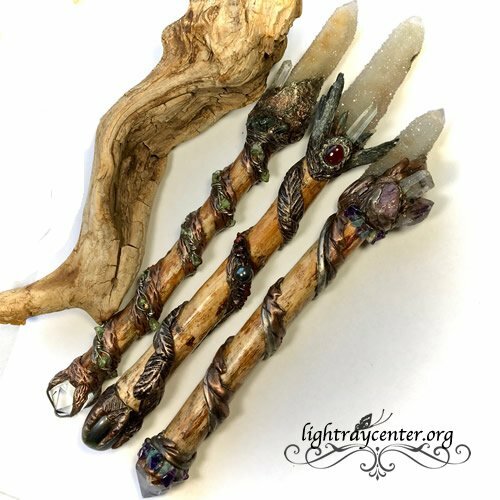 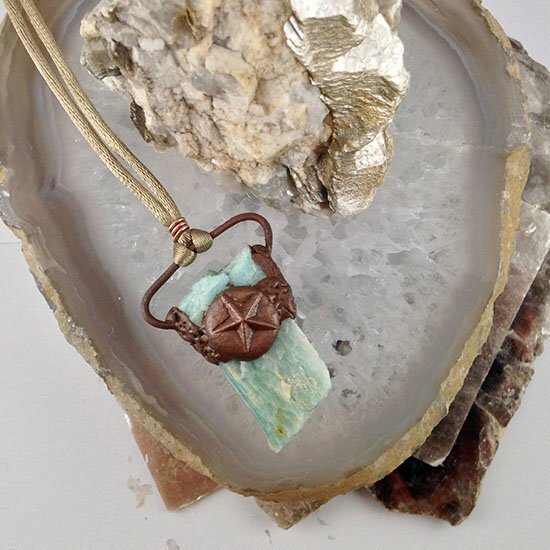 The amazonite crystal has a nice light green shade mottled with white and is bound with aged copper. 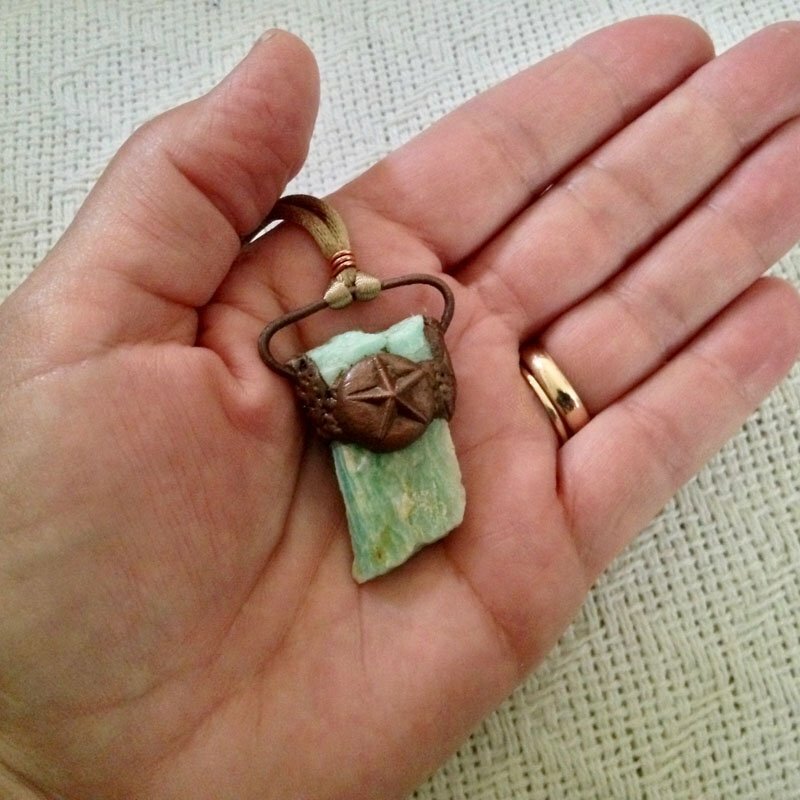 Adorned with a star, it comes on a 30″ adjustable satin cord. 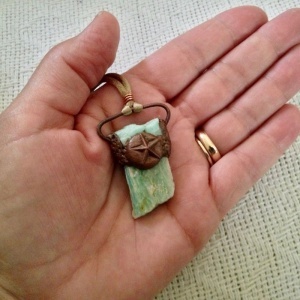 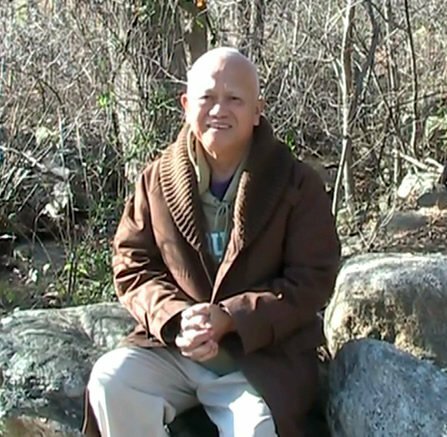 Read about Amazonite in this post.